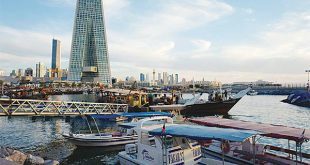 KUWAIT CITY, May 8, (KUNA): Kuwait’s Current Account recorded a surplus of KD 2,152 million (about $7.1 billion), against a deficit of KD 1. 528 million ($5.04 billion in 2016, the CBK said in a press release Tuesday. The surplus in the current account is due to the rise in the surpluses of balance on goods and the primary income on one hand, and the decrease in the secondary income deficit on the other, it added. According to the CBK, the surplus in the current account mainly reflects a surge in the value of oil exports at a greater rate than that of value of merchandise imports. This resulted in increasing surplus of the balance on goods (merchandise exports minus merchandise imports) to KD 7,769 million ($25.6 billion) during 2017 as compared to KD 5,898 million ($19.4 billion) a year before. Deficit in the Services Account (net value of services transactions between residents and non-residents, the most important of which are transportation, travel, communications and construction) increased by KD 877 million ($2.9 billion), 14.5 percent to KD 6,925 million ($19.9 billion) during 2017, compared to a deficit of KD 6,049 million during the previous year. 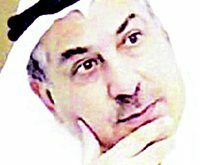 As for the Financial Account (that records transactions involving transfers of financial assets and liabilities between residents and non-residents) of the State of Kuwait’s BOP during 2017, preliminary statistics indicate a net capital outflows of KD 6,522 million ($21.5 billion) against a net capital inflows of KD 1,780 million ($5.9 billion) during 2016.